We design, supply and install heat pump ventilation, heat recovery ventilation and central vacuum systems. We also design, supply and complete MCS reports for air-source heat pumps and the Renewable Heat Incentive. We want everyone to enjoy the benefits of a healthy home, sustainably and economically with fresh filtered air, no condensation, no stale air in the kitchen or bathrooms and no recirculated dust. 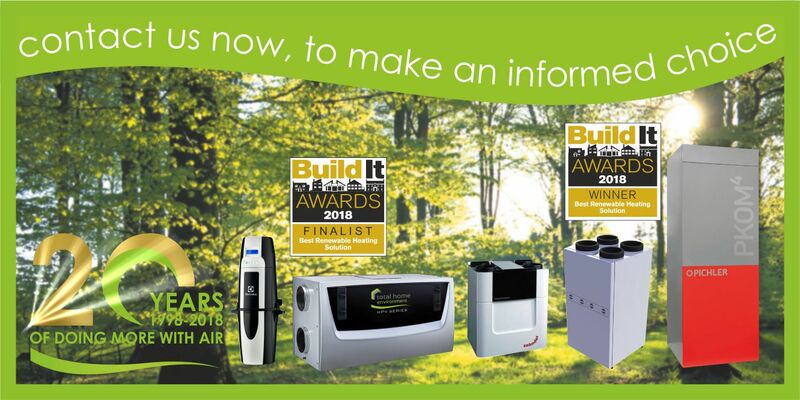 Our flagship system and Build It Award Finalist, the HPV Series, provides precise and exact heating, heat recovery ventilation, COOLING and hot water all in one very energy efficient Passivhaus Certified system. If you are making your home air-tight and well insulated, this could be the one system you need.